What do documentary filmmakers, conflict mediators, forensic social workers, researchers, mental health practitioners, human services administrators, medical social workers, and policy advocates have in common? They are all potential careers for social workers. 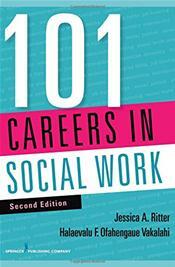 The second edition of this popular guide to social work careers has been completely updated and expanded to reflect current trends in social work education and social work practice, including the employment outlook in various fields of practice, current accreditation standards, core competencies, and licensing requirements, along with new opportunities for social workers resulting from health care reform and the Patient Protection and Affordable Care Act. With a focus on the interdisciplinary nature of social work, the book describes both traditional careers and those that are off the beaten path in such arenas as forensic social work, social entrepreneurship, working in political systems, international careers, and community practice.